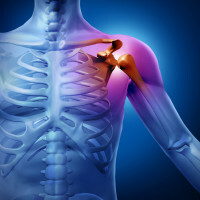 Every year millions of Americans sustain rotator cuff injuries, and millions of others suffer with joint degeneration, both of which can result in chronic shoulder injuries. Common treatments for these conditions include medications for relieving pain and inflammation, steroid injections, physical therapy, and, when all else fails, surgery. Michael Elam, MD along with The Newport Beach Stem Cell Center offers a regenerative medicine protocol for Shoulder Injuries. To learn more about Regenerative Medicine for Shoulder Injuries, contact us at 949-721-1113 or complete our confidential candidate application below.